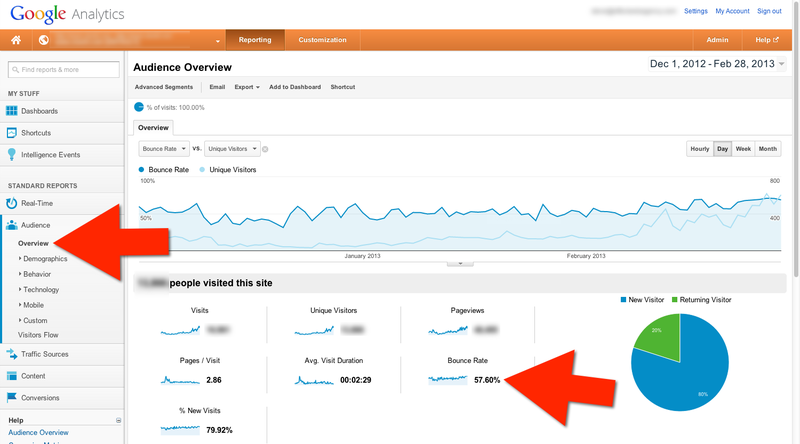 One of the most underutilized metrics Google Analytics tracks is bounce rate. Most marketers tell you to focus on who is visiting your website, but I believe it’s just as important to understand who is leaving, and WHY. There are two types of bounce rate. The first is SERP Bounce Back Rate. This occurs when a visitor comes to your site by clicking on a Google search result and then hits their back button. When this happens, Google factors it into their ranking tool because (A) your site was not relevant to that search or (B) you have a poorly put together site. The second bounce rate measurement is the one found in Google Analytics and the one we want to look at today. This metric tracks the percentage of visitors that never made it past the first landing page on your website. In other words, they come (directly or via search) and then leave without clicking on any internal links. A High Bounce Rate – Good or Bad? Before you can determine if your high bounce rates are good or bad, you need to understand why people are leaving. For instance, if someone clicks on your Contact Page and leaves after sending you a message or writing down a phone number, that is not bad. If people never make it past your homepage, then that is not good. By understanding your bounce rate better, you can figure out if your visitors are leaving satisfied or if you need to make changes to your web design. Before we can do any sort of analysis, you need to know where to find the numbers. Then, select your date range in the top right corner. Locate the Bounce Rate (see screenshot for location). 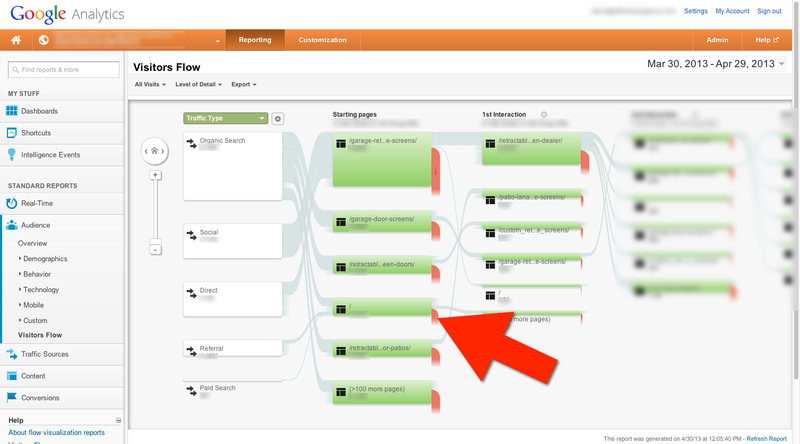 To see specifically how many people are dropping off of your homepage in Google Analytics, follow these steps. Find the one marked ‘/’. That is your homepage. If you put your mouse over the red graphic that appears to be pouring out, you will see the number of people that drop off your site from that page. Here are some general guidelines for bounce rates. A bounce rate that is lower than 40% is considered excellent. 41% – 55% is considered good, but average. 56% – 70% needs further examination based on what type of content is on the page. Anything above 70% is considered high unless it is a blog post or your Contact Page. Blogs typically have a high bounce rate because they have not been linked properly. You should never have a dead-end page on your site. Every article should have hyperlinks to related content and always contain a call-to-action that leads to your contact page or a lead magnet. Another thing to consider when it comes to your bounce rate is your industry. According to many marketers, these bounce rates are considered acceptable. There are several things you can do to improve your Homepage bounce rate. When a person clicks through to your site it’s because they saw something in your meta description that led them to believe you could meet their needs. Your homepage should immediately and clearly identify your products and services. Clear navigation not only points your visitors deeper into your website but it also defines your site architecture for the search engines. You want your visitors to move deeper into your website. Every click is a micro-commitment from them. Not only do you need to clearly state what you offer but you also need to make it clear why it’s best to get it from you. Competition is stiff and without definite measurable differences, you may find yourself fading to the back of the pack. Write out your unique value proposition statement so your employees and your customers know exactly what you have to offer. If they have not left the website yet, then they probably understand what you’re about and how you’re different. They have decided to go further. They are ready for the next step. Should we let them figure out what the next step is one their own or guide them? You’re right – let’s guide them. This company clarifies what they’re about and their difference with sections “A” and “B”. Section “C” spells out the next logical actions for them to take. The actions are even in logical order. It’s super-simple and a breath of fresh air for visitors. At this point, they probably believe that it’s going to be easy working with this company because it’s easy working with their website. 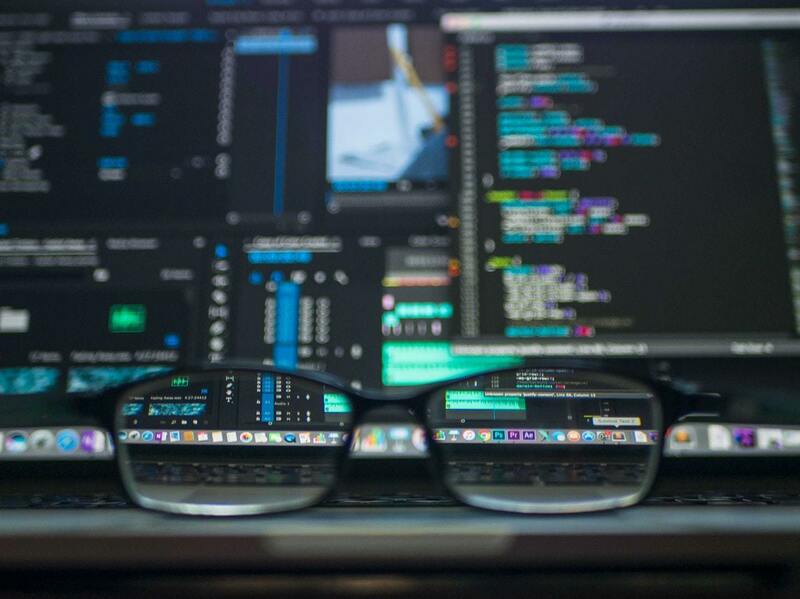 After you’ve looked at your bounce rates and evaluated your Homepage, you may be wondering if it’s time for a new website. It may be that all that’s required is a redesign rather than starting from scratch. Consult with a web design agency that also specializes in marketing and content development. They can help you attract the right traffic, reduce bounce rates, and increase conversions. 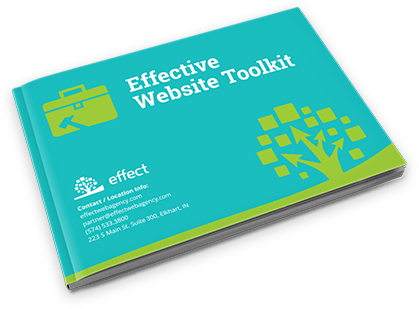 Effect Web Agency offers web design and marketing services to businesses across the globe. Located in the Indianapolis Metro Area, we help you turn your website into a tool for growth.